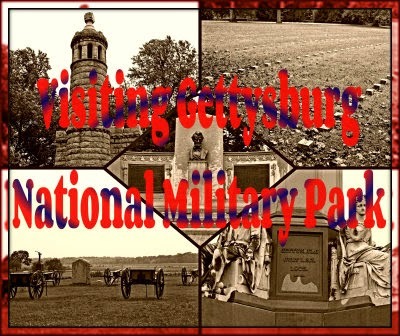 This week for Travel Tuesday I'd like to show you Gettysburg National Military Park. 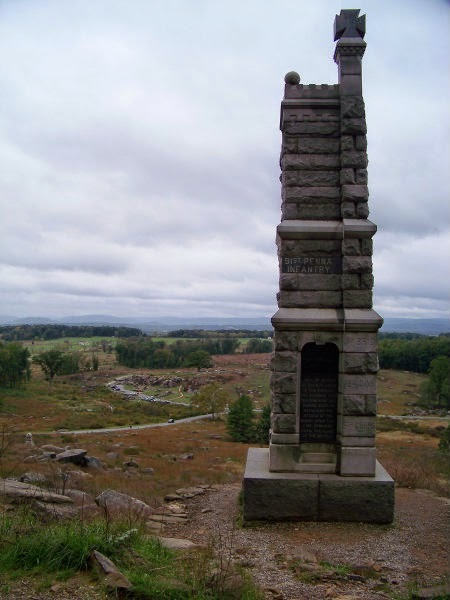 Gettysburg was the turning point in the Civil War. 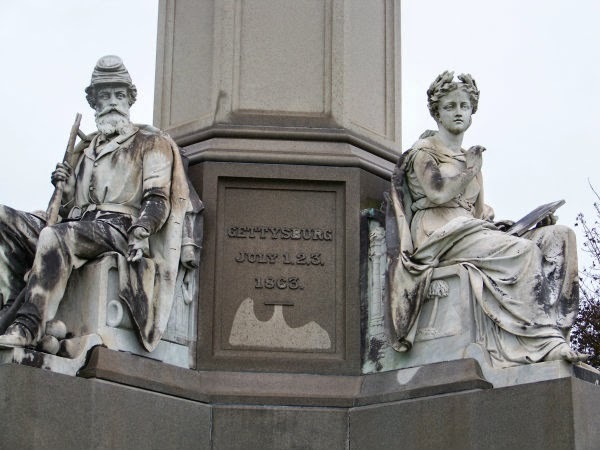 Famously know for President Abraham Lincoln's Gettysburg Address. But it was also the place of a few other known and lesser known facts. 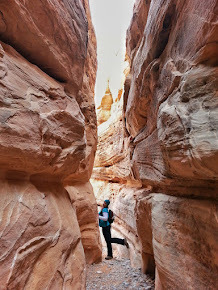 It's also an amazing place to visit, and great for solo trips or family adventures! 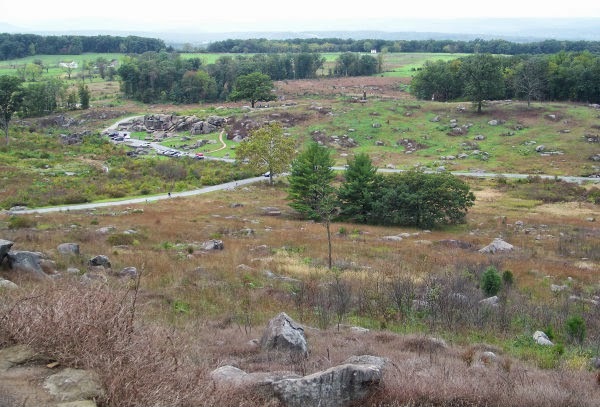 Gettysburg is a place that can be seen in one day, and although you can sign up for a tour you can also take the "Auto Tour" in your own car and see things at your own pace. Stop in at the visitor's center first, and get a map of the "Auto Tour" and set out to explore some of America's most well known history. 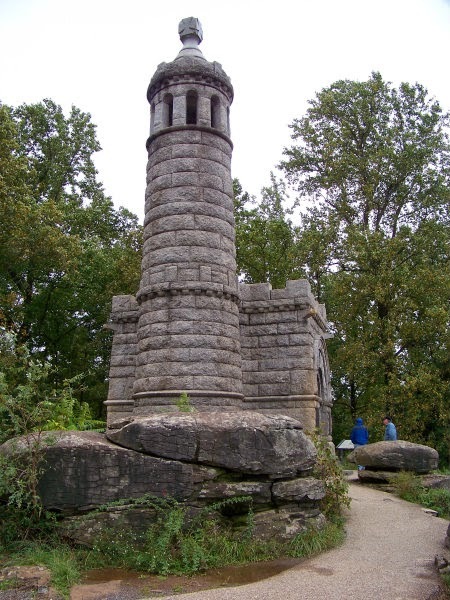 Did you know that their are over 1,400 markers, monuments or tablet mentions within the park? As you visit the park or even if the closest you'll get are these pictures. Did you know over 51,000 were either wounded or killed in these rolling hills? 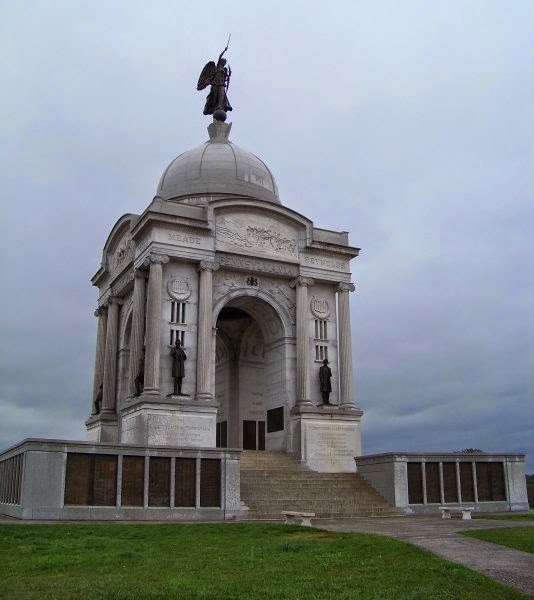 It actually didn't rain during the battle of Gettysburg, but the day after the war it rained heavily and soaked it all. In fact it was actually fought during the hottest time of the year and was near 90 degree's the day of Pickett's march July 3rd. An interesting fact: Even though the war was wide spread and fought in literally a thousand different places and lasted many years. 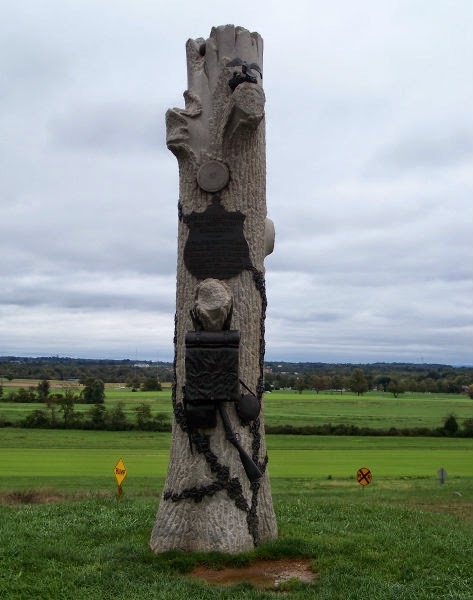 A little over one third of all of the photographs of the dead you see in the history books were actually all taken at Gettysburg during the three day period between July 1-3, 1863. Above is a of the view of one of the major battles. An interesting fact, most of the dead were left laying on the ground, and the nearby towns people had to go out and find and bury them. 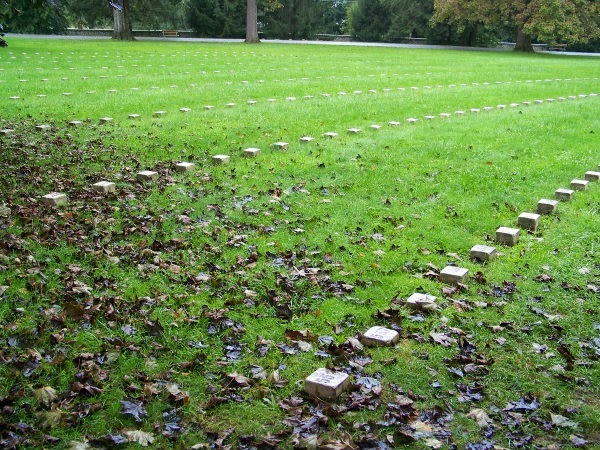 The National Cemetery was actually created to give those killed in action a respectful place to be buried. 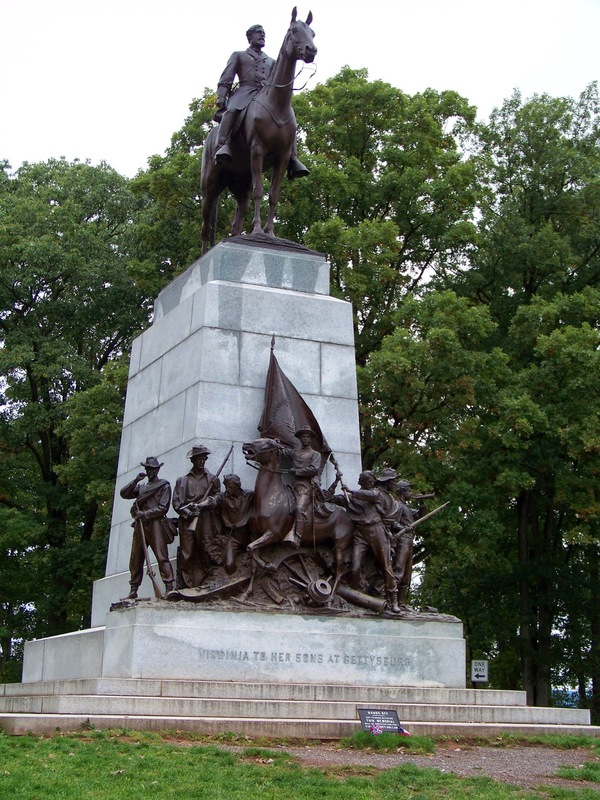 Over 3,000 horses were killed during the battle. They were left for the town to take care of, it is said that they burned them in a bonfire, but most fell ill right after because of the smell it put off. 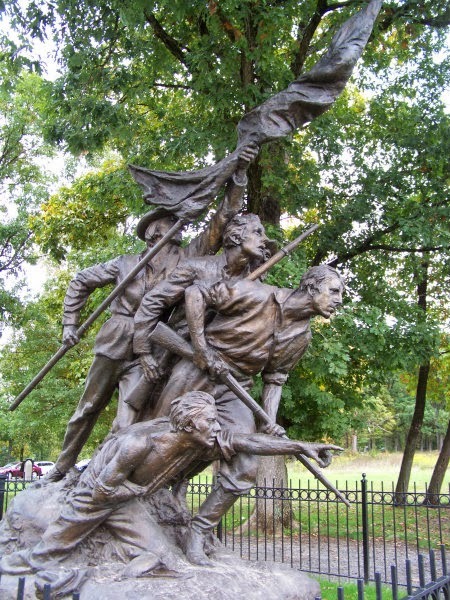 Another odd fact, there were over 2,500 civilians who were in the battle area during the time. However, only one died by a stray bullet. Most civilians stayed indoors and in hiding at the time. 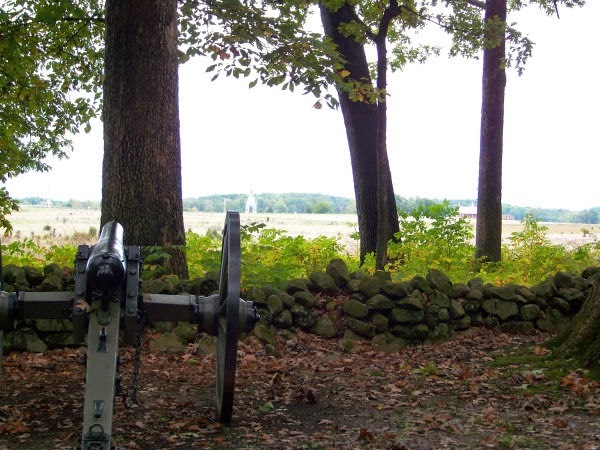 After the battle there were over 24,000 loaded rifles left on the battlefield. In a way for the Army to resupply and get help gathering things for use the Army paid the citizens in the are 13 cents per pound of lead they could gather for them. Before the battle the town of Gettysburg was actually a very prosperous place, even sported a couple of colleges. However the battle that took place their ruined their image and after that there was no going back, they were forever to be known for the battle and the bloodied and wounded. Although you can see most of the larger markers on the road along the auto tour. If you want to get out on your feet there are so many hidden and overlooked gems within the military park that you can only see if you go out on foot and do a little walking or hiking. They do have things set up to give you a unique sense of how it looked back then. The war between the north and the south, brother fighting brother. I believe (to my knowledge) most are replica however their are some with plaques on them that will tell you if they are the actual ones. I could see some turning green with oxidation so I assumed those were real, even though at the time I visited when it was raining I didn't get out and walk the fields as much as I would have liked. Some say this is one of those places if you visit many times in your life, you are able to discover something new each time. 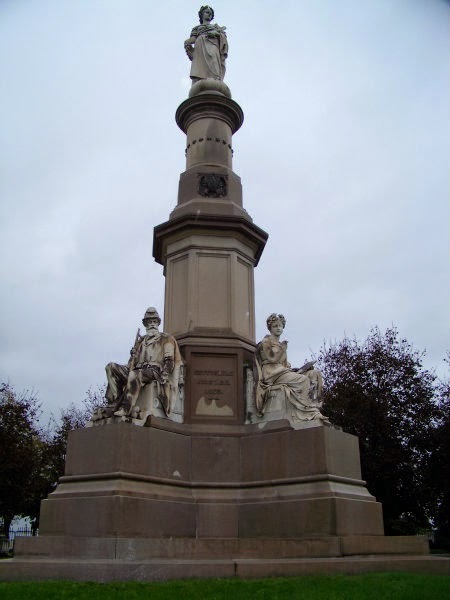 The above picture is the monument for the famous Gettysburg Address, however this is actually not where it happened. The picture below, is the actual place that the Famous words "Four Score..." were spoken. Before Lincoln spoke his famous address November 19, 1863, the crowd had to listen to a 2 hour oration by Edward Everett. Lincoln's speech they say only lasted two minutes. 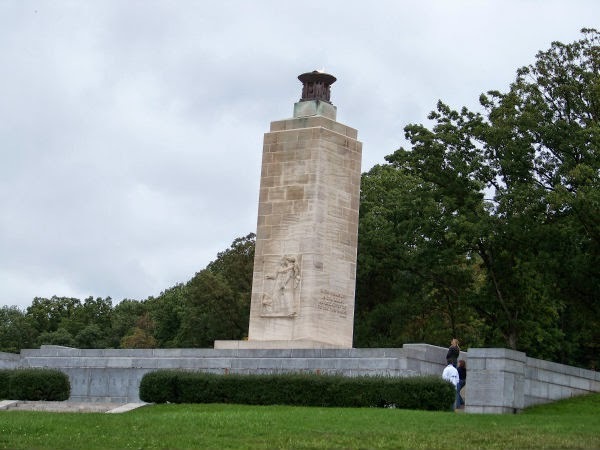 The reason for it was actually a dedication of the Soldiers National Cemetery. 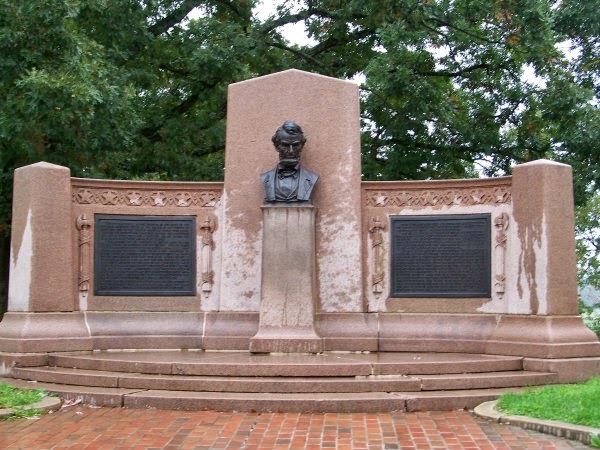 Did you know, Lincoln was actually ill during his famous address, they say he was getting over Smallpox. Another interesting fact, did you know at the time, the press and many thought Lincoln's address was terrible? If you can't tell I love history, especially American history. 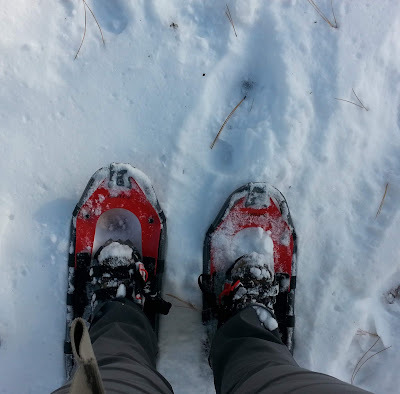 I find it fascinating and for a girl who loves the outdoors a lot of history can be explored by foot and sometimes you can find your own little adventures from visiting and learning about it. Additionally, I believe it is important to learn about and understand American history! Now days so many things are taken for granted, especially our freedoms. In my opinion most of the people who take them for granted should take themselves on a history lesson of our past. If we loose sight of the events that happened in the past, it is too easy to forget why our country formed things the way they did early on when America was still taking shape. I hope you enjoyed my tribute this patriotic month of July, showcasing some of America's historical sites. I highly recommend if you ever get the chance to visit some of our historical sites, you take the opportunity! So tell me, what are your favorite parts of American history? 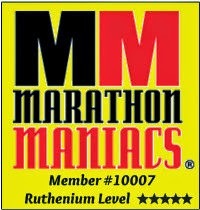 What area's have you visited and enjoyed seeing and learning more about?